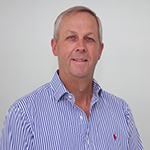 Dr Mark Dennes is a general dentist on Macquarie Street in the Sydney CBD who has been practicing dentistry at the CBD practice for 26 years. Peruse our treatments below and find out if Dr Mark Dennes is the right dentist for your unique treatment needs. General dentistry is a blanket term for a number of different treatments. Regular check-ups enable us to assess your oral health and help you regain and maintain stability for your teeth, gums and bones. General dentistry includes fillings, fissure sealants, caries infiltration with Icon, and more. Both general dentistry and preventive dentistry is about preventing problems rather than only curing them. Prevention involves your home care and our care for you during your visits. Generally we encourage our patients to visit every six months for a check-up. Regular care allows us to monitor the progress of your oral health and treat any small problems before they become big problems. 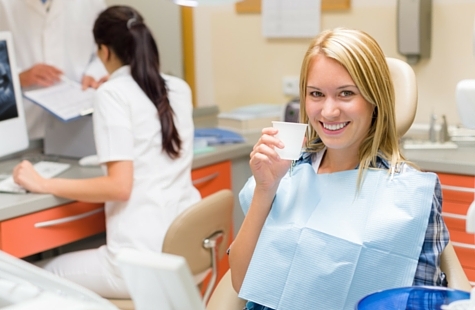 During check-ups we will clean and treat your teeth with fluoride gel, and also provide you with advice and information regarding your dental health and provide suggestions and solutions for any cosmetic concerns you may have. Find out more about cosmetic dentistry here. Laser dentistry is often referred to as virtually pain free dentistry due to the revolutionary technology used. Dr Mark Dennes has a number of different types of lasers for different treatment purposes. The KTP laser can be used for soft tissue treatment. This laser can be utilised for treatment of lesions in the mouth, gum contouring, wound sealing and more – all of this with absolutely no bleeding at all! Dr Mark Dennes also has a “hard tissue” laser for treating teeth. The Fidelis laser can be applied to restore small to medium sized cavities in the teeth rather than using a drill. This laser also assists with pain relief. The Fidelis laser is waved over the tooth at a low power setting for 30 seconds. This temporarily shuts down the nerve fibres in the tooth so the tooth will not send signals of pain for around 10-12 minutes, allowing treatment to proceed during this time. Diagnodent laser (the diagnostic laser) is a very effective and accurate diagnostic tool for assessing decay and other oral conditions. It is like a ‘laser pointer’, is totally painless and takes the guesswork out of diagnosing tooth decay. All lasers have their limits. During your consultation, Dr Mark Dennes will take time to assess your condition and will walk you through the best course of action for treatment. Don’t put off receiving dental care because of fear! Dr Mark Dennes offers nitrous oxide as a conscious sedative and Penthrox (‘the green whistle’) for self-administration of methoxyflurane for pain relief. Find out more about anxiety relief options here. For more information or to book a consultation, make an online enquiry with Dr Mark Dennes today.